Float (1) with integral float magnet (2) is at lowest level. The float magnet exerts a magnetic force repelling the inner magnet (3) upward, holding it seated against the valve stem (4). This prevents control air, coming in through the control filter (5), from reaching the actuating cylinder (6), which stays in the home position with the discharge ball valve (7) in the closed position. 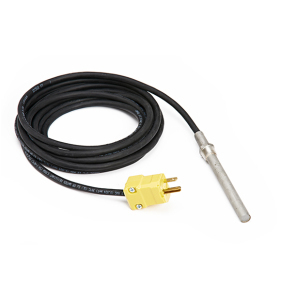 The inner magnet and valve stem are located in the center tube and are isolated from the condensate. There is always a residual amount of condensate (8) in the bottom of the reservoir from the last discharge cycle. Drain-All® stops discharging before all accumulated condensate is removed, providing a liquid seal that conserves expensive compressed air. As condensate flows in, it raises the float with float magnet to its highest position. At this point, the Drain-All® has been triggered to discharge. The float magnet has risen up, past the inner magnet, and repelled it downward, opening the flow of control air to the actuating cylinder. The actuating cylinder opens the ball valve and begins discharging the accumulated condensate. 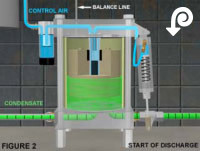 When the correct amount of condensate has been discharged, leaving a liquid seal, the float has been lowered to a point where the float magnet has passed the inner magnet, repelling it back upward against the valve stem. This stops control air flow to the actuating cylinder, which returns to its home position, closing the discharge ball valve stopping the flow of condensate. At this point in the cycle, as shown in FIGURE 1, condensate again begins to accumulate in the reservoir and the cycle is repeated. Other drain devices with small orifices and poppet style valves are prone to clog when solid debris is present. Each Drain-All® has a large, smooth liquid flow path and discharge port as well as a heavy duty shear action ball valve designed to alleviate this problem. Timer valves require electricity. There is a cost for installing and maintaining the electric outlets they require as well an ongoing operating cost of electricity year after year. Drain-All® requires no electricity to operate since it is totally pneumatic and can be easily installed at any point along the compressed air system, providing low cost installation and ongoing operation. Drain-All® cycling is controlled by a patented magnetic interaction with a totally pneumatic control circuit. While other pneumatic drains have a complex, lever-action “toilet bowl” type internal float with many parts, there are few moving parts in the Drain-All®. 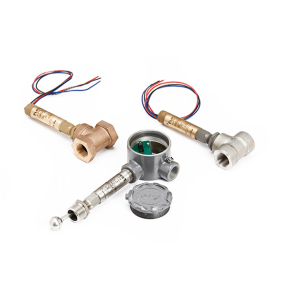 Since the Drain-All® is totally pneumatic, it is not affected by power outages or the other vulnerabilities of electrical devices such as timer solenoid valves, motorized ball valves or electrically operated float traps. Smaller drains become plugged so often that cleaning them out becomes a very labor intensive operation. To avoid constant cleaning, there is a temptation to bypass the inadequate drain on smaller traps and crack open a manual bypass valve, causing it to drain constantly and thus causing a constant flow of wasted compressed air. Drain-All®’s anti-clog design eliminates the temptation to bypass the drain trap. Manually operated drains, timer solenoid valves, motorized ball valves or electrically operated float traps blow away large quantities of expensive compressed air. Manually operated drains waste considerable compressed air because most operators feel it is necessary to have the drain open an extended period of time in order to get all the liquid out. Timer valves are almost always set to be open longer than necessary in order to drain all of the liquid and this also passes large quantities of compressed air down the drain. Drain-All® avoids this waste of compressed air and the resulting pressure drop in the compressed air system by maintaining a liquid seal in the bottom of the Drain-All®’s reservoir between each cycle. Manual draining and timer valve draining do not provide any information on the quantity of liquid being produced in the compressed air system. Each Drain-All® model discharges a specific amount of liquid on each cycle in a given application. With the addition of an optional Drain-All® cycle counter on the Drain-All® unit, it is easy to track how much liquid is produced over any period of time. This is particularly important for benchmarking system equipment performance and performing trend analysis. For example, it is essential to know the quantity of liquid produced by a compressed air system in order to properly size oil-water separators. A cycle counter coupled with a Drain-All® unit is an instrument. Once installed, it provides tracking of the number of cycles for periods of time at different ambient temperature and humidity conditions. This data can be plotted on a chart. During operations thereafter, a check on the number of cycles per time period of actual operation compared to the chart for a given temperature and humidity will show if the correct amount of liquid is being received by the Drain-All®. Too many cycles, compared to the chart, indicates excessive liquid is being produced somehow and should be investigated. Too few cycles indicates that not enough liquid is being produced and this too should be investigated. Manual drain valve operation and timer valves are usually set for overkill in terms of frequency and duration of drainage times in order to be certain that no liquid accumulates in the system. This results in waste of expensive compressed air. Drain-All® is demand-activated and drains only when the liquid reaches the predetermined trigger point. The Drain-All® does not over-drain or blow down the system. Timer drains must be preset to establish the frequency and duration of drainage. The settings may be vastly different in periods of high humidity from what they would be during periods of low humidity. It is common for this adjustment to be overlooked in the transition from winter to summer. Therefore, the settings are often inadequate to handle the higher summer quantities of liquid, which, in turn, result in excess liquid accumulation in the compressed air system. This liquid often backs up and can cause damage to dryers, compressors and hand tools that are expensive to repair. The Drain-All® is designed to cycle as needed when liquid accumulates and requires no adjustments from season to season. The air pressure in the system being drained forces the liquid out of the Drain-All® reservoir. Because the power of the air system is behind it, the discharge can be directed upward, to a containment vessel, to an oil-water separator or to an overhead discharge piping system. Control Devices, LLC warrants that every Drain-All® condensate trap, when used for its normal and intended commercial or industrial purposes, and when properly installed, not modified in any unauthorized manner, and properly serviced, will be free from defects of material and workmanship for a period of 36 months (the “Warranty Period”) from the date of first purchase from Control Devices, LLC. During this Warranty Period, Control Devices, LLC will, at its option, repair, replace or refund the purchase price of its product which fails to conform to this limited warranty under normal use and service. In order to be eligible to have product repaired or replaced or the purchase price refunded, the product must be registered under the purchaser name, and all supporting documentation requested by Control Devices, LLC must be submitted to Control Devices, LLC at 1555 Larkin Williams Road, Fenton, MO 63026, at customer’s costs, during the Warranty Period. No claims will be allowed for labor, transport or other costs. This limited warranty extends only to persons or organizations that purchase product directly from Control Devices, LLC for the purpose of resale. This limited warranty is voided by product modification, misuse, damage (including, but not limited to, accident, fire or chemical corrosion), or use in a manner not recommended by Control Devices, LLC. THE REMEDIES DETAILED ABOVE ARE THE SOLE AND EXCLUSIVE REMEDIES FOR A BREACH OF THE LIMITED WARRANY DESCRIBED HEREIN. THIS LIMITED WARRANTY IS MADE IN LIEU OF ALL OTHER WARRANTIES, EXPRESS OR IMPLIED, INCLUDING, BUT NOT LIMITED TO, WARRANTIES OF MERCHANTABILITY OR FITNESS FOR A PARTICULAR PURPOSE. CONTROL DEVICES, LLC EXPRESSLY DISCLAIMS ALL IMPLIED WARRANTIES, INCLUDING, BUT NOT LIMITED TO, WARRANTIES OF MERCHANTABILITY OR FITNESS FOR A PARTICULAR PURPOSE. TO THE EXTENT PERMITTED BY LAW, CONTROL DEVICES, LLC DISCLAIMS LIABILITY FOR ANY AND ALL CONSEQUENTIAL AND INCIDENTAL DAMAGES. SOME STATES DO NOT ALLOW THE EXCLUSION OR LIMITATION OF INCIDENTAL OR CONSEQUENTIAL DAMAGES, SO THE ABOVE LIMITATIONS OR EXCLUSIONS MAY NOT APPLY TO YOU. This Limited Warranty gives you specific legal rights, and you may also have other rights which may vary by state. This is the only express warranty made by Control Devices, LLC. No Control Devices, LLC employee, retailer, or dealer has the authority to make any warranty, representation, promise or agreement on behalf of Control Devices, LLC, except as expressly written in this limited warranty. I understand there are many models of Drain-Alls, how do I select one that is right for my application? I need technical assistance, who do I contact? Is the Drain-All Quality System ISO certified? Does the Drain-All use electricity? Where can a Drain-All be installed? Is this an oil-water separator? Does a Drain-All replace a dryer? What does the balance line port do? Can the balance line and the control air line be hooked together via a tee connection? What size compressor can a Drain-All handle? Can one Drain-All be used to drain multiple tanks and/or compressor systems? Can a Drain-All be used in systems with pressure greater than 170 PSIG? Can a Drain-All be used in systems with temperatures greater than 170 F? What if the system has an abundance of metallic trash - rust? How can the Drain-All be used as an instrument to gather data on condensation in a compressed air system? Other Traps clog, why doesn't the Drain-All? Does a Drain-All have to be primed to work? Who is Drain-All's preferred shipping carrier? What are Drain-All's payment options? Who do I contact if I need to check the status of my order? What is the liquid flow handling capacity of a Drain-All? 1. I understand there are many models of Drain-Alls, how do I select one that is right for my application? There are hundreds of Drain-All models to meet a wide range of application requirements. Dimensional options, design features, component options, operating parameters as well as special materials and coatings are used to provide "application specific product solutions" to meet virtually any liquid handling requirement in compressed air, compressed gas, process liquid handling or liquid handling in vacuum systems. With over two decades of R&D, engineering development, application evaluations, and systems integration support, Drain-All's Engineering Group and Manufacturing Operation have accumulated expertise in, and products for, a very large applications portfolio. TEAM DRAIN-ALL will work with you as part of your TEAM to evaluate your specifications, recommend the correct product, help you detail piping arrangements as well as assist you in overseeing installations and reviewing as-built installations to make sure they are optimum. Contact Drain-All Technical Service at 865-970-9290 Ext 4 or TechService@Drain-All.com to add our TEAM to your TEAM for all the assistance and support you need for a successful condensate handling project effort. 2. I need technical assistance, who do I contact? 3. Is the Drain-All Quality System ISO certified? 4. Does the Drain-All use electricity? No. Drain-All products are totally pneumatic and are very easy to install with simple piping connections. No electrical drops, connections or use of electricity is required. 5. Where can a Drain-All be installed? At liquid accumulation points within an air or gas compression system at compressors, air receiver tanks, intercoolers, aftercoolers, dryers, separators, filters and drip legs. Drain-All products can also be used in process operations that move liquids including under pressure or under a vacuum. 6. Is this an oil-water separator? No. 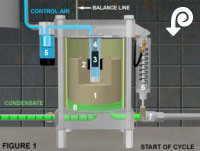 Drain-All products remove liquids that are produced / condensed in equipment / systems without wasting the system pressure. They drain oils, condensed water, and particulates from the compressed air / gas equipment / systems. The discharge from the Drain-All product would be piped to an appropriate drain point or to an oil-water separator for processing. 7. Does a Drain-All replace a dryer? No. A Drain-All works in conjunction with a dryer. Dryers typically convert water vapor in the compressed air / gas into liquid condensate which is usually discharged through a small automatic drain device integral to the dryer. These small automatic drains are often prone to clogging and failure. When this occurs, such drains are normally replaced with Drain-All products which do not clog and do not use any electricity to operate. A dryer prepares the moisture for removal from the system by condensing it. It is the job of the reliable, robust Drain-All to ensure that the liquid is actually discharged from the air system without wasting valuable compressed air / gas. 8. What does the balance line port do? The balance line port provides a means to handle the displaced air from the Drain-All reservoir as the liquid enters the reservoir. The preferred method for using the balance line port is to pipe it from the port on the Drain-All back to the vessel being drained. Make sure there is absolutely no spot along the entire length of the balance line piping that can hold any condensed liquid. The balance line can have no dips or sags and should never go down and then back up again because that forms a trap that will hold water and cut off proper air flow. 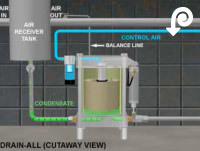 If there is no location to properly connect the balance line at the vessel being drained, it can be vented to atmosphere to allow a small amount of air to leave the reservoir to allow for filling. There are many alternative ways to pipe a balance line. Contact Drain-All for assistance in laying out your piping for optimum operation. 9. Can the balance line and the control air line be hooked together via a tee connection? No. Do not tee the balance line and control air lines together. Each of these air lines has its own specific purpose and should not be tied together. The control air should be the cleanest driest air available since it supplies air to the control air circuit to operate the pneumatic actuating cylinder which functions best and lasts longer if clean dry air is used. The balance line allows the air in the reservoir to move out leaving room in the reservoir for the incoming liquid. This air contains moisture that would be drawn across a tee fitting tied to the control air line. Then that moisture would be pulled directly into the control air circuit, which can damage control air pathways and the air cylinder. If you need assistance, contact Drain-All to help with selecting the proper piping arrangements. 10. What is the liquid flow handling capacity of a Drain-All? In each application, based on pressures and piping layout for that application, a Drain-All model will eject a specific amount of liquid on each cycle. The frequency of cycling will then provide a specific liquid flow rate. This varies by model, port size and application specifics. Drain-All has products that handle small liquid flows to well over 100 gallons per minute. Contact Drain-All to get a product recommendation that is an "application specific product solution" for your particular requirements. 11. What size compressor can a Drain-All handle? There are Drain-All models that will function effectively on any size compressor, intercooler, dryer, filter, compressed air/ gas system, atmospheric, or vacuum system. Simply provide Drain-All with your application specifications and an "application specific product solution" will be recommended for your requirements. 12. Can one Drain-All be used to drain multiple tanks and/or compressor systems? No. They will not all be of precisely the same pressure level and proper air and liquid flow will not be achieved. For further details contact Drain-All and ask for assistance in proper piping layouts. 13. Can a Drain-All be used in systems with pressure greater than 170 PSIG? Yes. Higher pressure models are available up to 1200 PSIG. 14. 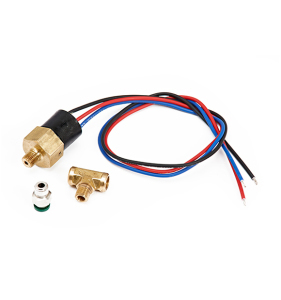 Can a Drain-All be used in systems with temperatures greater than 170 F? Yes. Higher temperature models are available up to 350F. 15. What if the system has an abundance of metallic trash - rust? All Drain-All standard products can handle the normal rust and debris found in the average system. For equipment and systems that have excessive rust and debris, Drain-All has a special product group called Rust Handlers. These were developed for severe rust applications and do not need any strainers upstream since the product design isolates and purges rust and debris to clean the Drain-All on every cycle. Once Drain-All understands your application requirements, including the amount of rust and debris, an "application specific product solution" can be recommended. 16. How can a Drain-All be used as an instrument to gather data on condensation in a compressed air system in order to determine proper system equipment operation? 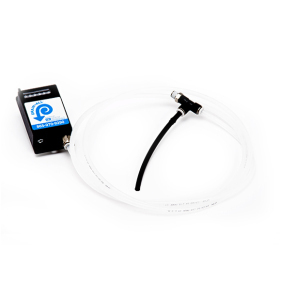 With the use of Drain-All's optional cycle counters (both pneumatic and electronic are available), a Drain-All can provide accurate data on the amount of liquid that a piece of equipment in compressed air system generates. This is very useful when buying new compressed air system equipment because a Drain-All with a cycle counter is a benchmarking instrument. Benchmark the current equipment condensate production before it is replaced with the new equipment and be able to compare condensate production before and after the installation of new equipment. Once installed, a Drain-All with a cycle counter becomes a real-time trend analysis tool. Since a Drain-All discharges the same amount of liquid on every cycle (varies with model), knowing the number of discharge cycles over a specific period of time under specific temperature and humidity conditions provides the ability to track liquid production and chart it. This benchmarking can be correlated to ongoing changes in ambient temperature and humidity conditions which can be converted into a graph to identify variances in liquid production. Such a graph can then be used to indentify changes in liquid flow. A given liquid flow outside of normal range as indicated on the chart for a given temperature and humidity combination would indicate a need to investigate the vessel being drained. Too few cycles would mean not enough liquid is reaching the Drain-All and should be investigated. Too many cycles would mean too much liquid is being made or too much liquid from somewhere is reaching the Drain-All and should be investigated. Knowing the amount of liquid a system produces is also essential for properly sizing oil-water separators. Such a real-time analysis capability can also provide an alarm should cycles stop due to anything that would prevent the condensed water from passing properly such as equipment issues or clogged drain piping. The electronic counter can be connected to PLC or computer for real-time data transfer. Contact Drain-All Technical Service for additional information at 865-970-9290 Ext 4 or TechService@Drain-All.com. 17. Other Traps clog, why doesn't the Drain-All? Other drain trap devices with small orifices and poppet style valves or gasket discharge seals are prone to clog when solid debris is present. Their mechanics are inside the trap reservoir or connected to it in such a way as to make them susceptible to oils and debris as well as being complex, fragile and prone to failure. Each Drain-All has a large, smooth liquid flow path and discharge port as well as an industrial strength heavy duty shear action discharge ball valve designed to prevent clogging. All of a Drain-All's control pathway is totally isolated from the reservoir and therefore cannot be contaminated by oils or debris in the condensate like happens in other products. Also, there are no mechanical parts inside the reservoir of a Drain-All like found in other "mechanical lever arm float style" traps. For more than two decades, Drain-All products have proven themselves as the easiest to install, most reliable, robust, worry free condensate removal products on the market worldwide. The Drain-All BRAND is highly respected for indicating highest quality and reliability, which supports the company's motto "Install It and Forget It". 18. Are Drain-All products reliable? Drain-All's cycling is controlled by a patented magnetic interaction with a totally pneumatic control air circuit that is isolated from the reservoir. While other pneumatic drains have a complex lever action "toilet bowl" type internal float with many parts inside the reservoir with the water and debris, there are no mechanical moving parts inside the Drain-All to wear out or jam. Since the Drain-All is totally pneumatic, it is not affected by power outages or the other vulnerabilities of electrical devices such as timer solenoid valves, motorized ball valves or electrically operated float traps. With the isolation of the control air pathways separate from the reservoir area, Drain-All is reliable and robust. Some electronic trap devices, timers and floats, have PC boards that are claimed to provide added features such as alarms. If these products did not have such fragile designs with complex components that fail often via clogs and breakage, as well as wearing out quickly requiring annual maintenance parts and labor, such alarms would not be necessary. The alarms are needed due to poor product design not really a good feature as much as a "workaround" for a product not properly designed for heavy industrial use in compressor rooms. The excellent design of the industrially robust Drain-All's does not require such devices. 19. Does a Drain-All have to be primed to work? No. Drain-All products are self priming and operate automatically. "Install It and Forget It" is the motto. It will actuate automatically when the proper amount of liquid has been retained in the reservoir. You can see the liquid level in the translucent reservoir sleeve at all times. 20. Who is Drain-All's preferred shipping carrier? UPS is the preferred carrier but others can be used. Contact Drain-All to discuss if you would prefer another shipper or have your own shipping account number. 21. What are Drain-All's payment options? Checks, credit cards (Visa, MasterCard, Amex), or Electronic Funds Transfer (EFT). 22. How do I check the status of my order? Please contact Drain-All at 865-970-9290, as soon as you hear the automated system, choose extension "0" and the person who answers can check the status for you. Control Devices, LLC warrants that every WaterHog™ condensate trap, when used for its normal and intended commercial or industrial purposes, and when properly installed, not modified in any unauthorized manner, and properly serviced, will be free from defects of material and workmanship for a period of 24months (the “Warranty Period”) from the date of first purchase from Control Devices, LLC. During this Warranty Period, Control Devices, LLC will, at its option, repair, replace or refund the purchase price of its product which fails to conform to this limited warranty under normal use and service.